Simonik Transportation & Warehousing is the superior choice among Bucks County movers. Our experienced professionals can handle moving need you have – regardless of size or scope. From small apartments to large corporations, we have the skills and resources necessary to make your relocation smooth and seamless. Simonik Transportation & Warehousing has more than 32 years of experience in the relocation industry. With our experience, global network of resources, full fleet of equipment and comprehensive moving services, we are the Bucks County movers that you can depend on. Our ProMover status with the American Moving & Storage Association and A+ rating and accreditation with the Better Business Bureau are a testament to our quality and dedication to customer service. Local Moves - Whether you’re moving one block away or across town, we can help you move efficiently. Long-Distance Moves - No matter how far you need to go, we are the movers that can get you there smoothly. Intrastate Movers - Moving out of Bucks County but staying in Pennsylvania? 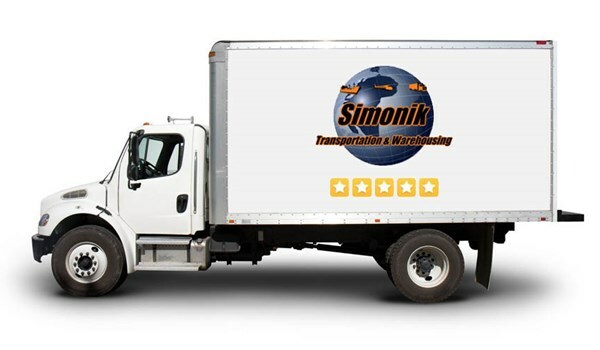 Call the experts at Simonik for the highest quality services for your in-state move. Interstate Movers - Wherever you are going, our network of resources will help you get there. Corporate Relocation - If you are moving for work, we can work with your company to get you to your new location quickly and easily. Choose Simonik Transportation & Warehousing when you want the easiest moving experience of your life. Learn more about our moving and storage services by giving one of our knowledgeable associates a call or fill out our online quote form to receive a free moving quote!